By making it a dammar varnish melting it in turpentine and petrol, it is used as a medium for painting and varnish for protection. When used for painting, the luster and transparency of the paint increases, and one can gain a firm effect on the surface. 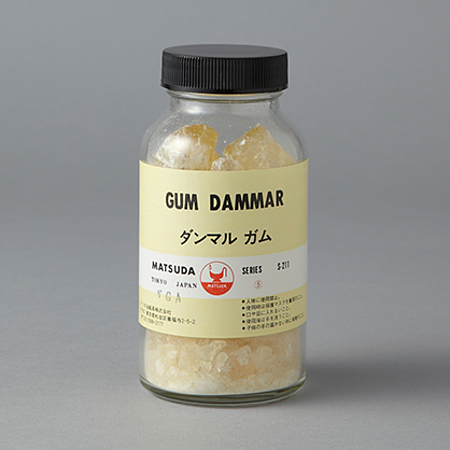 Ingredients…Dammar acid and two types of resin.